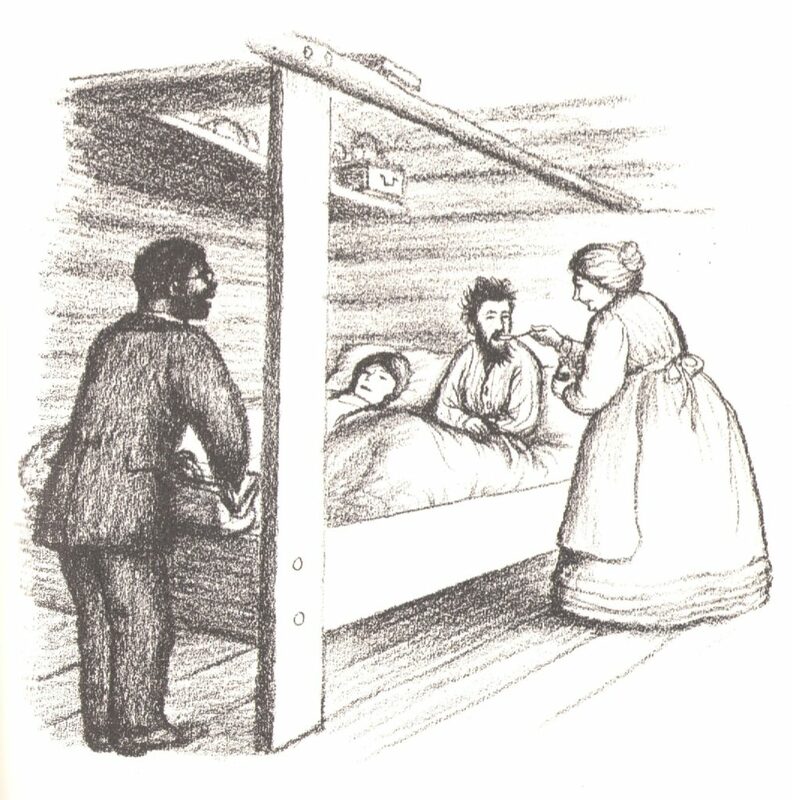 Some of you may recall the doctor who helped the Ingalls family when they fell ill in Chapter 15 “Fever ‘N’ Ague” of Little House on the Prairie. 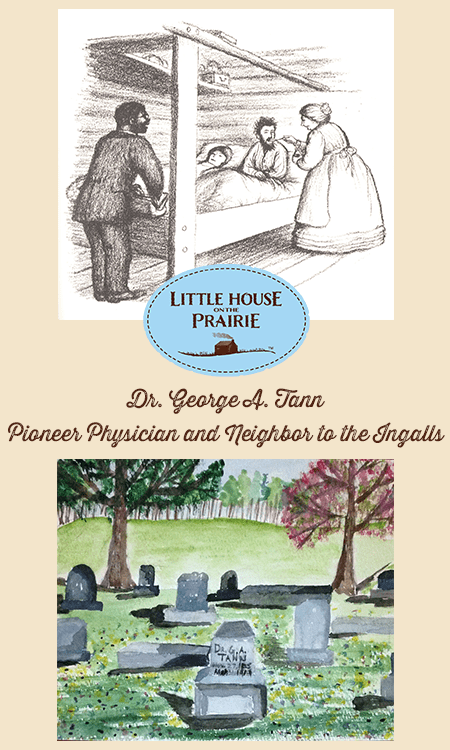 He was based on George A. Tann, a pioneer, physician, and neighbor of the Ingalls family. To celebrate Black History Month, we are excited to explore the real life of Dr. George A. Tann. Late summer in the Midwest is hot, humid, and buggy! In Chapter 15 “Fever ‘N’ Ague” of Little House on the Prairie, the heat is so intense that Laura and Ma have to stop picking blackberries in the creek bottoms and sit in the shade. They aren’t the only ones interested in the berries; mosquitoes swarm and buzz in the briers, biting and speckling Laura across her forehead. Ma picks blackberries in Chapter 15 of Little House on the Prairie. Illustration by Garth Williams. Within the next few days, the entire Ingalls family is afflicted with aches, chills, and fevers. Unbeknownst to them, it’s malaria. As Laura drifts in and out of consciousness, she can vaguely hear Jack the Bulldog howling and strange voices urging her to drink. 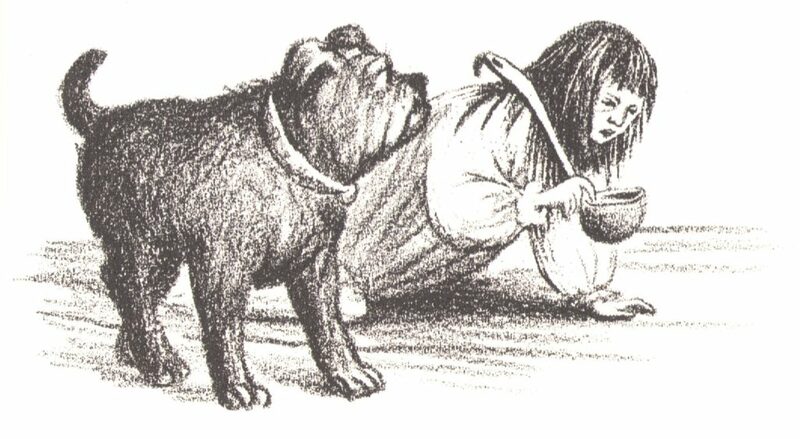 A feverish Laura crawls across the floor taking a dipper of water to her bedridden sister Mary while faithful Jack the brindle bulldog remains by her side in Chapter 15 of Little House on the Prairie. Illustration by Garth Williams. When Laura opens her eyes, she sees a black doctor and a neighbor woman medically ministering to her family. Dr. Tan, the doctor to the Indians and area settlers, has arrived, apparently upon the insistence of Jack, who stops him on his way north to Independence, Kansas. Dr. Tan and Mrs. Scott tend to the Ingalls family in Chapter 15 of Little House on the Prairie. Illustration by Garth Williams. After a short stay, Dr. Tan continues on his way caring for the ill pioneer families who live along the creek. As the chapter closes, Laura tells us that Pa makes a rocking chair for Ma out of willow saplings, so she can rest comfortably while recovering. 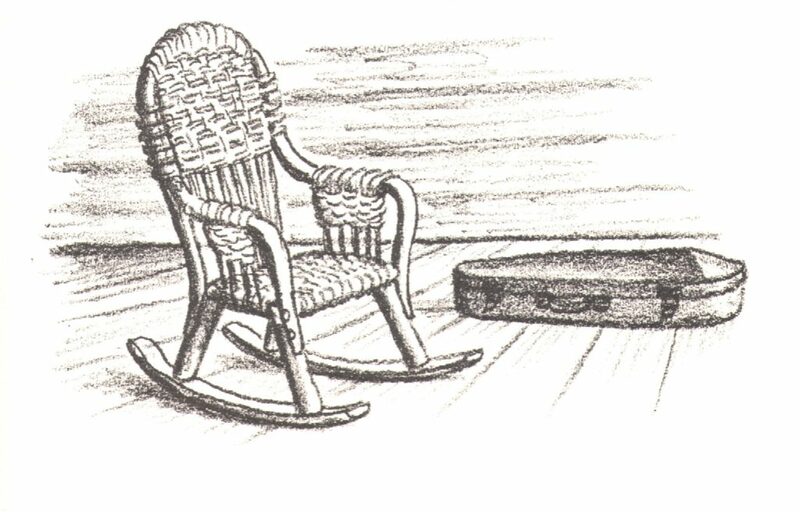 The rocking chair Pa makes for Ma from slender willows in Chapter 15 of Little House on the Prairie. Illustration by Garth Williams. 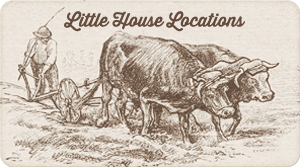 What Laura doesn’t relate, and perhaps did not know at the time, was that Dr. Tan (spelled Tann, according to historical records) was a neighbor of the Ingalls, living less than one mile north of their property. Laura also recorded in her nonfiction memoir, Pioneer Girl, edited by Pamela Smith Hill, that Dr. Tann delivered her sister Carrie on August 3, 1870. According to researcher Eileen Charbo, the doctor was known for delivering babies for the “best families” in Montgomery County, Kansas and was well-known for his reasonable rates. George A. Tann was born into a free black family on November 27, 1835 according to the census report and land records (though his gravestone indicates he was born ten years earlier in 1825). Working alongside his father Bennet on their Pennsylvania farm did not leave much time for school. George was probably educated in a home or rented storefront, as were many black children in the area. After leaving the farm, George made a living as a peddler while supporting his wife, mother-in-law, and infant son. He sold herbal remedies during his career as a peddler and may have become familiar with homeopathic medicines. Dr. Tann became known as a doctor of “eclectic” medicine. A popular and widely-practiced medicine of the day, eclectic medicine combined botanical remedies with physical therapy to achieve health and wellness. There are no documents that show George Tann’s enrollment in medical school. 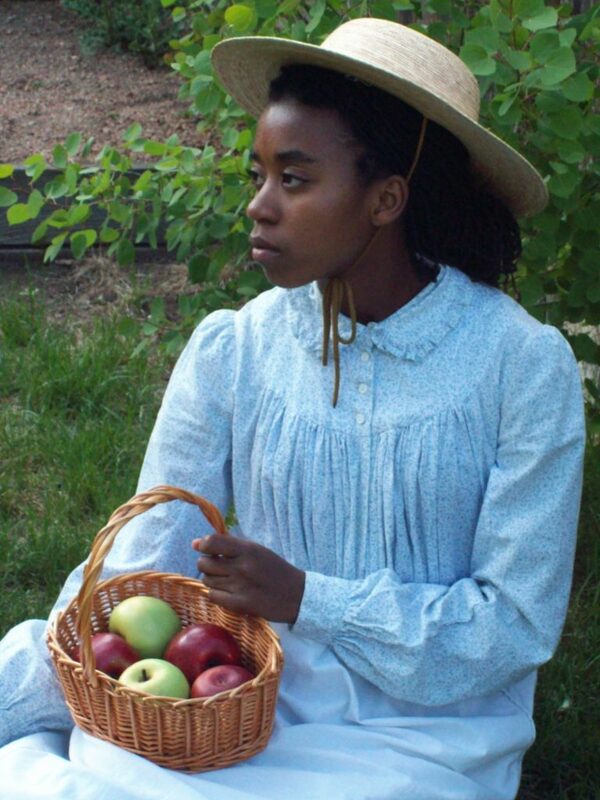 Most blacks learned by apprenticeship or were self-taught. Dr. Tann learned his profession well, becoming particularly skilled in setting bones. Taking advantage of the Homestead Act and free Kansas land, he and his father relocated and purchased property neighboring Charles P. Ingalls. 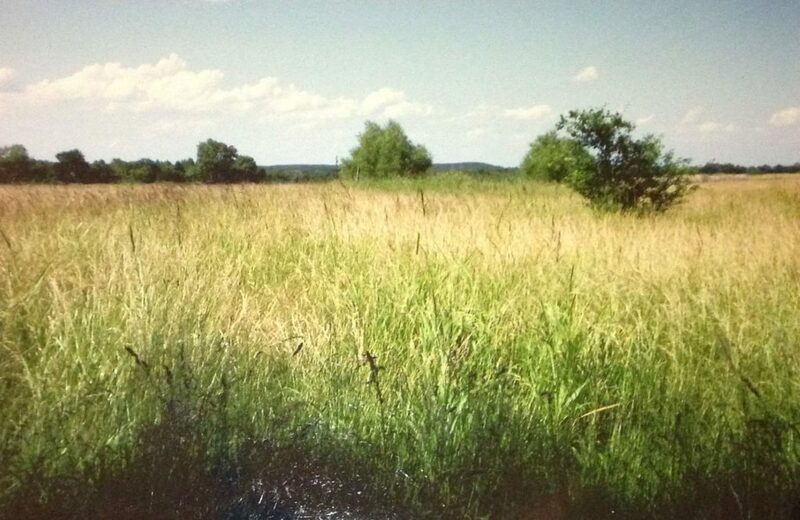 Dr. Tann’s property (present day). Photo courtesy of Susan Thurlow. In the final chapter of Little House on the Prairie, we find the Ingalls family leaving Indian Territory (the Osage Diminished Reserve). Dr. Tann, however, remained in Kansas. In addition to establishing thriving medical practices in Independence, Kansas and Oklahoma Cherokee Nation, Dr. Tann acquired hundreds of acres of land with fruit trees, a hen house, hog pen, and stable. Laborers, farmers, and housekeepers worked his properties. According to researcher Nansie Cleveland, Dr. Tann also homesteaded in South Dakota for a time. 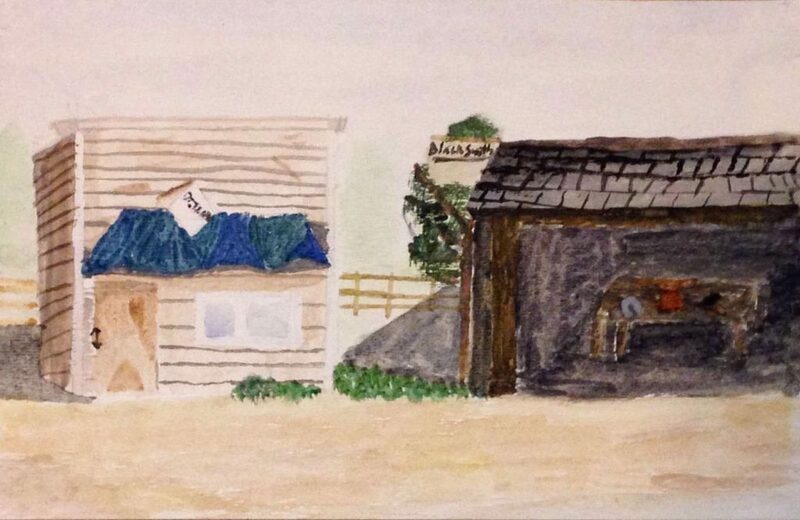 A watercolor rendition of Dr. Tann’s office and adjacent blacksmith shop painted by Grace Thurlow based on a 1937 newspaper article from Bartlesville, Oklahoma, which included the description of his office in 1891. Courtesy of Susan Thurlow. Dr. Tann retired in 1902 at age 67 and died in 1909, after suffering a heart attack following a horse and buggy accident. Kansas State Historical Society documents record that the people of Independence held Dr. Tann in such high regard that he was not buried in the traditionally separate black section of the cemetery, but was laid to rest in a prominent spot in gratitude for his selfless service to the community. His gravesite can be seen today in the Mt. Hope Cemetery in Independence. George A. Tann’s gravesite in the Mt. Hope Cemetery in Independence, Kansas. It is believed he was actually born in 1835. 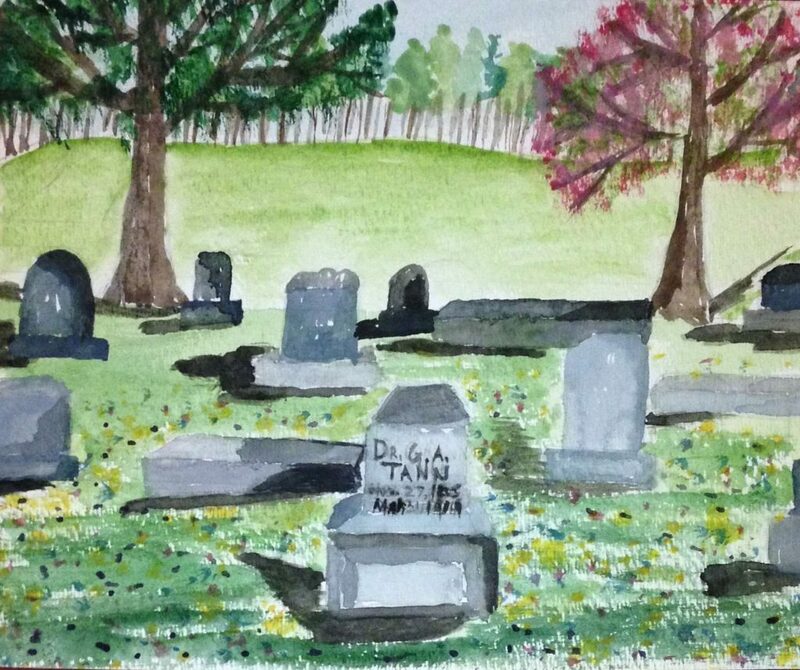 A watercolor rendition of Dr. Tann’s gravesite painted by Grace Thurlow. Courtesy of Susan Thurlow. 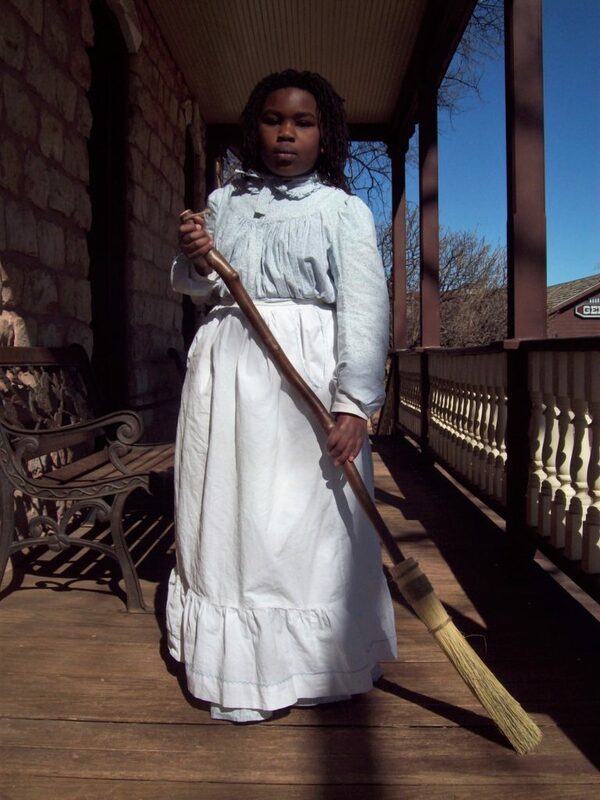 I first began the task of bringing Dr. Tann’s remarkable story to life for a 2012 presentation for the Laura Ingalls Wilder Legacy and Research Association. It quickly turned into a fun and educational project for our four children. 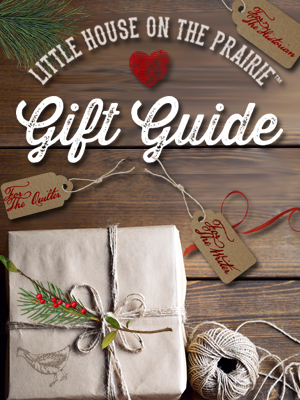 I wanted to help them connect with the Little House books that I had loved as a child. Our daughters, Esther and Annie, modeled Dr. Tann’s daughters for the visual portion of the presentation while our son, Franklin, portrayed a young George Tann. Our oldest daughter, Grace, painted watercolors from historically-researched and period photographs. Without my husband Mark’s encouragement, the project would not have been completed. Anna Thurlow as Dr. Tann’s daughter Stella Tann. Photo courtesy of Susan Thurlow. Esther Thurlow as Dr. Tann’s daughter Naomi Tann. Photo courtesy of Susan Thurlow. 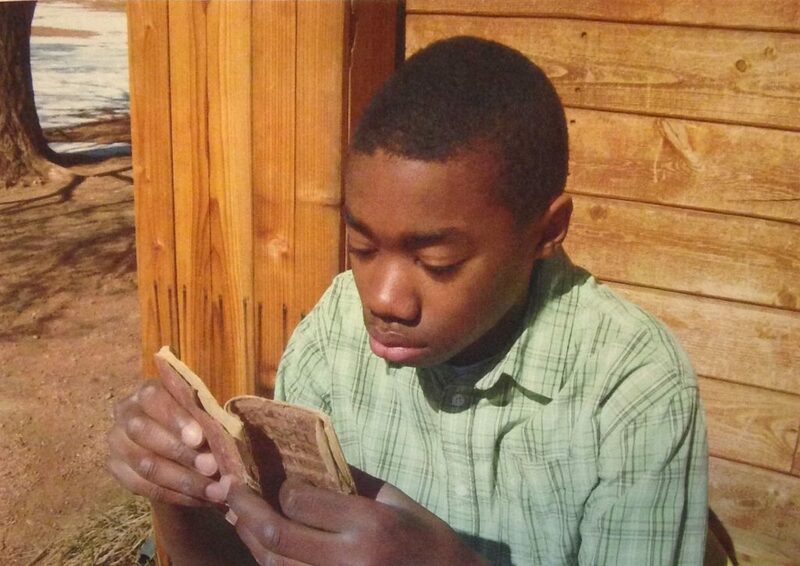 Franklin Thurlow reading a gospel hymn book that a quiet and studious George Tann might have studied. Photo courtesy of Susan Thurlow. This has been a fantastic journey into black frontier history for all of us. I was privileged to correspond with Eileen Charbo, author of A Doctor Fetched by the Family Dog: The Story of Dr. George A. Tann, Pioneer Black Physician, before her passing. Mary R. Guinter, Cemetery Chairman LCGW, Lycoming County, Pennsylvania was instrumental in helping me piece together Dr. Tann’s early life. 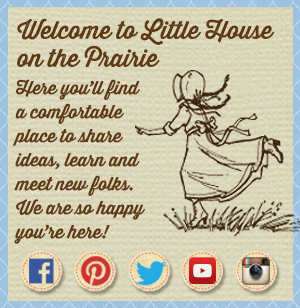 Documents and resources from the Kansas State Historical Society, the Historical Society of Pennsylvania, and the Herbert Hoover Presidential Library and Museum were all useful in adding another piece to the Dr. Tann story begun by Laura Ingalls Wilder in Little House on the Prairie. 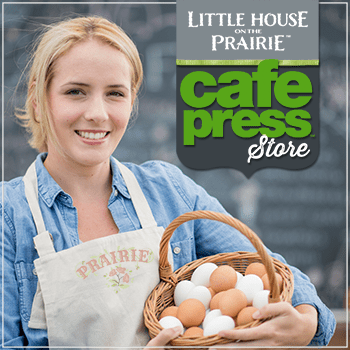 We invite you to subscribe to the free Little House on the Prairie newsletter for more interesting stories, news, and events, and inspirations. 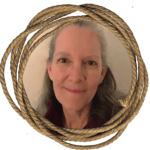 Susan is an educator, researcher, and author with a love for American history and children’s literature. 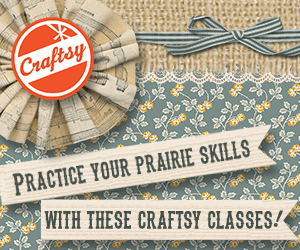 Her parents introduced her to Laura Ingalls Wilder in elementary school and Susan has passed on that legacy to her own family. Susan lives in Colorado Springs with her husband, Mark. She has six children and three grandchildren. Susan can be contacted at pmt2810719@gmail.com.